A few weeks ago my Magic Wooden Box & I paid a visit to Pittock Mansion, a place of historic significance in Portland, Oregon. It was once the home of the publisher of our local newspaper, The Oregonian. Back in the olden days newspapers made American men rich, and our humble city was not immune to this. 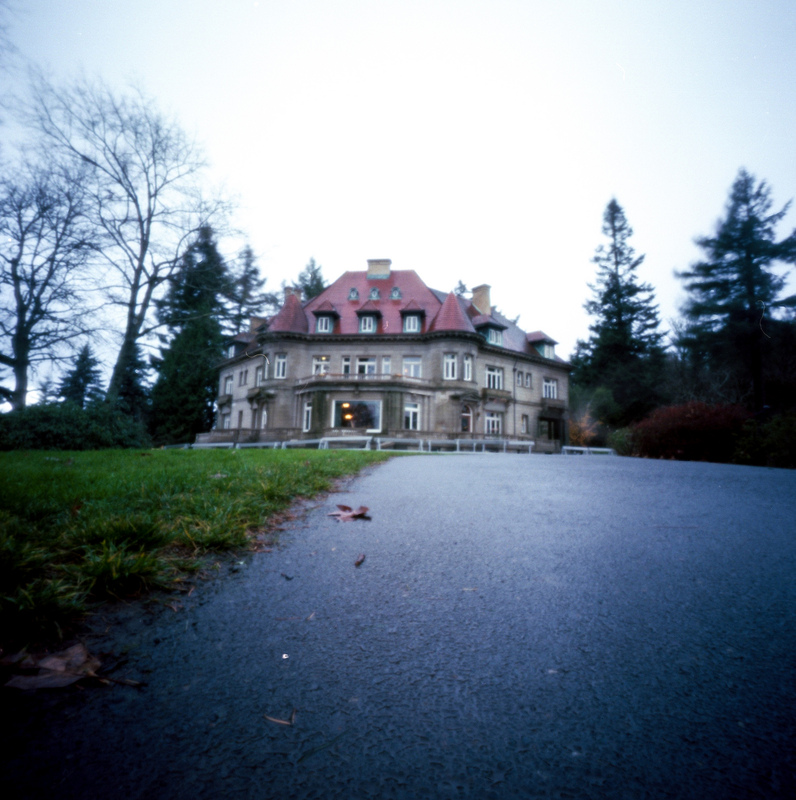 Henry Pittock built his private home to be a place of the utmost comfort and opulence. This beautiful home sits on top of the West Hills above the city of Portland. During the holiday season it is a tradition to visit the mansion bedecked (sometime bizarrely) for the holidays, as we did a few weeks ago. Great shot! It looks like a lovely place to visit. Thanks Inge! it was really windy day which was fun for the long exposure. It’s a really neat place! Great image from your Magic Wooden Box. A lovely camera to work with and a fascinating location. Thanks so much! I am really enjoying my zero 2000 though I am now wanting to graduate up to the 6×9 multiformat one. 🙂 Thanks for stopping by!